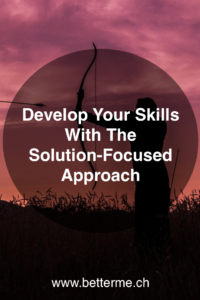 My clients and readers who have been following me for some time now know that one of the methods I use in my coaching sessions is the « Solution-Focused Approach ». For those who don’t know it, the principle of this method is not to dig into problems and difficulties in order to detect their cause, as it’s done in classical psychotherapies. The Solution-Focused Approach directly focuses on the resources, skills and solutions of the individual in order to discover what already works and « build » on it. So instead of trying to « repair » something « cracked », we try to build with solid « materials » which have proven themselves. I chose to write this article to illustrate how a « solution-focused » mentality can apply in life to help you realize your dreams. As a basketball fan, I read in several articles an amazing story about Dennis Rodman, teammate of Michael Jordan in his best years. Although Rodman had been a good scorer during his academic years (about 20 points per game on average), he quickly realized one thing when he arrived in the NBA: the players were only interested in scoring baskets. It was at that time that his « solution-focused » mentality allowed him to enter the legend of basketball by departing from his teammates. Dennis was particularly good at taking rebounds and so he decided to focus only on this, letting his teammates take care of scoring baskets. This is how he ended up at the NBA Hall of Fame by becoming 7 times the best rebounder of the league, without ever registering more than 10 points per game on average. All this while being only 6’7’’ (everything is relative I grant you, but he was among the smallest players at his position). What lesson can we draw from Dennis Rodman’s career? Because of our culture and education, we often have the bad tendency to focus on our shortcomings, instead of looking at everything that we’re already doing well. This brings us to be « average » in many areas. Dennis Rodman teaches us that identifying your strengths and betting on them can be much more beneficial. This doesn’t mean that there’s no need for improvement in the domains where you have more difficulties. However, betting on your skills and the domains in which you excel and investing 200 % in them could be the strategy that will allow you to reach your dreams! For this exercise, I will ask you to identify a goal that you care about. This may concern your professional activity, a hobby, your love life, whatever. Take a piece of paper and share it in two columns: your strengths and weaknesses concerning the achievement of this goal. Rely on your own assessment and on the feedbacks of others to fill them. Once these two columns have been filled, cross your weak points with a red pen. Focus only on your strengths and choose 3 of them in which you will specialize. Finally, for each of your strengths, write 3 small steps that you can undertake directly during the week to start your improvement in these areas. The purpose of this process is therefore not to make you a versatile, but « average » person, this method is made to transform you into a « specialist ». No matter in what you specialize, you’ll be able to use your mastery in order to achieve your goals! Do not let your shortcomings slow you down in the pursuit of your goals. Identify your strengths and skills and bet all your efforts on them!